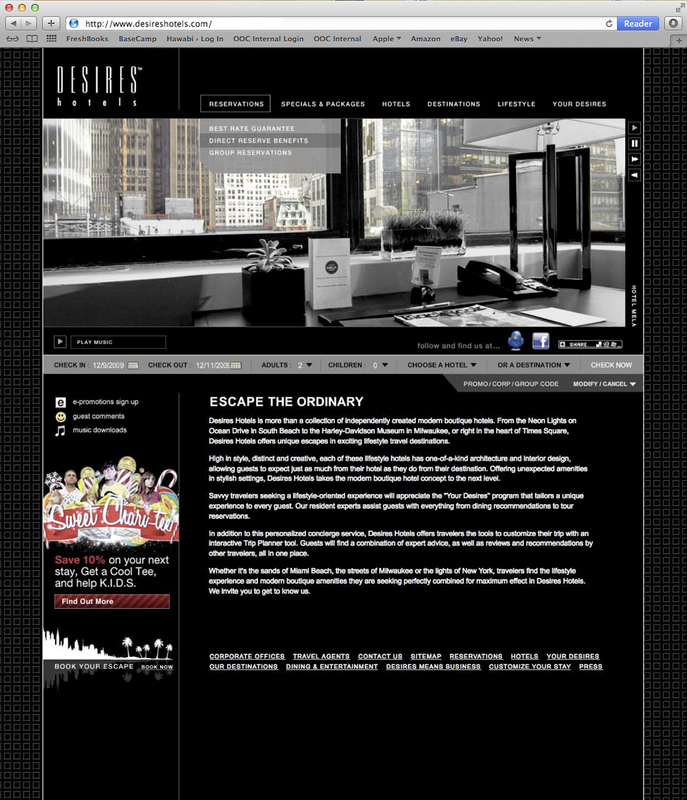 We created a complete hotel management web site for the Desires Hotels properties. The goal was to have a site that not only featured all the current properties, but allowed their target audience to be able to find a hotel that met their particular travel needs. The web site had built in special offer features to promote individual offers plus the ability to instantly book and receive their monthly offer updates. The site was so successful that it won the HSMAI Platinum award for web marketing.